Over the past four years I have come to realize that people in our community see the library as a resource of infinite possibilities and use it in many ways. Jay Chang stopped by the other day to share his story. I had gotten his name from Louise in the Reference area on the second floor. She had talked with Jay as she saw him in the library and passed his name to me so I gave him a call. Jay is originally from South Korea where he studied law; he met his wife there. He spent four years in London working with a Korean language paper and then he and his wife traveled to the United States. They originally settled in California where he published a Korean newspaper in Orange County. There were over 600,000 Koreans living in Southern California in 1996. He and his wife decided that they wanted to raise their family in a less busy part of the country and after researching areas decided on Rochester. They have lived here for 15 years and originally bought a house in Northwest Rochester. Their daughter is at Macalester College in St. Paul and their son is at Mayo High School. Jay’s original dream when they moved to Rochester had been to publish an on-line Korean language newspaper; unfortunately the internet was not as good in the 1990’s as it is today. Needing to support themselves and their family, they opened a retail store in Miracle Mile called In Vogue. That store grew into two more over time. After 10 years they began tiring of the day-to-day stress of retail sales so they decided to sell the stores. They thought about taking the concept to the Twin Cities area but haven’t found the right location. They have found their version of the American Dream and Jay is now taking some time to find his personal meaning of life. They sold their Northwest house and have moved closer to the downtown area. Jay can easily walk the mile to the library and back home when he chooses. Jay had thought about returning to Korea and spending time in a monastery environment to find his, “meaning of life” but finds he can do the same thing in the quiet study rooms on the second floor of the library. He brings his laptop and connects to the Wi-Fi and explores what other people have thought, whether they are Buddhist, Muslim, Jewish or various Christian philosophies. One of his favorite authors at this time is Richard Dawkins who wrote the God Delusion; Jay says that he agrees with about 90% of what Dawkins writes. Along with his search for his own meaning of life, his personal journey, he as two goals. 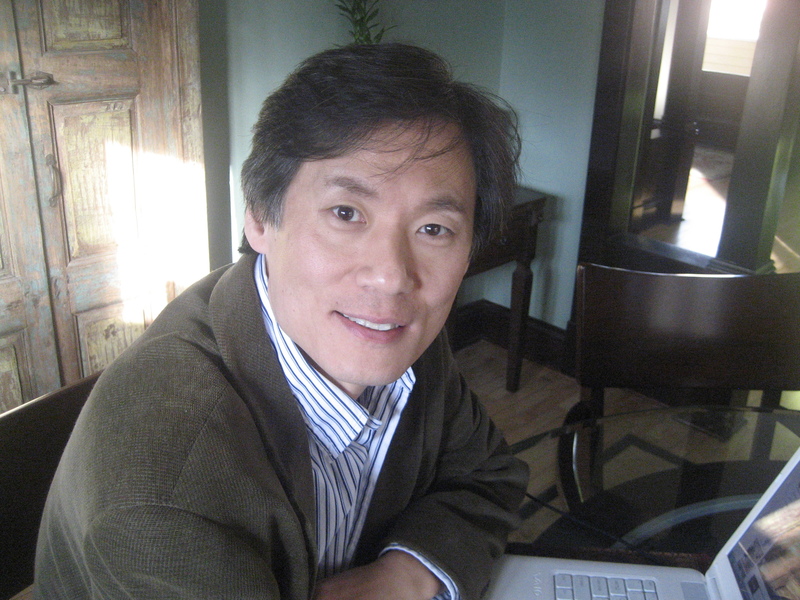 He still wants to publish an online magazine focused on the worldwide Korean population. He actually has a number of online blogs at this time, although they are in Korean. If they are successful he will consider English versions. Secondly he has studied for and passed in September his realtors’ tests. He spent 10 hours a day for two weeks at the library preparing for the tests as he wanted to pass the first time. He wants to be a commercial realty consultant working with people who want to invest in U.S. properties. Jay says that with the library and our internet access, the philosophies of the world are at his finger tips. The Rochester Reads committee decided to highlight the 150th Anniversary of the Civil War by selecting two books by Pulitzer Prize winning journalist/author Tony Horwitz, as well as a junior title for middle-school students, and a picture book for the pre-school-kindergarten crowd. Confederates in the Attic: dispatches from America’s unfinished Civil War (1998), and Midnight Rising: John Brown and the Raid That Sparked the Civil War (2011) are the two adult titles. Tony Horwitz will be speaking on the topic of Civil War and the origins of the conflict on Monday, April 9 at Willow Creek Auditorium at 7:00 p.m. The junior title is The River Between Us by Richard Peck, and the picture book is B is for Battlecry by Minnesota author Patricia Bauer, who will be visiting several Rochester classrooms on April 10 as part of Rochester Reads. In addition to the author visits, we will be hosting a kick-off event with Mayor Brede and the musical group The New Pearl Buttons on February 13 at the library, and there will be a number of other events – lectures on the Civil War, children’s & YA events, book discussion groups – in March and April. 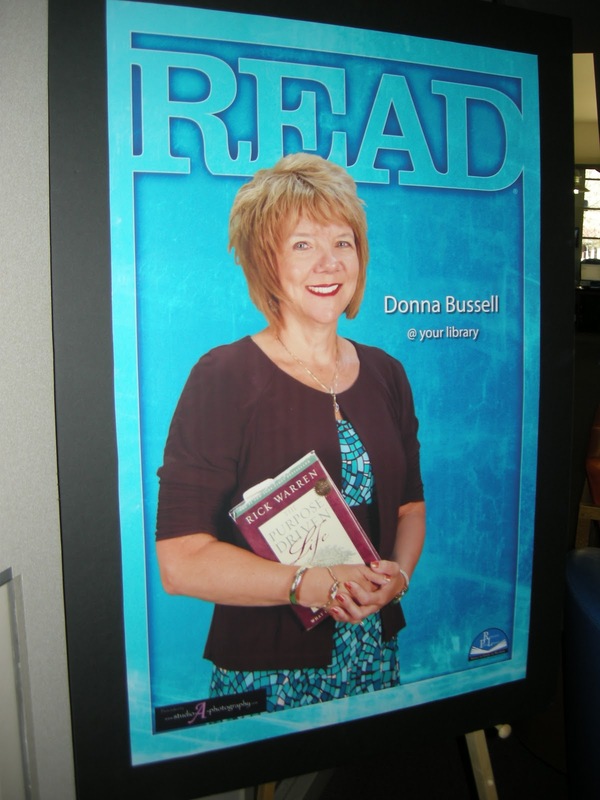 All information will be available on the http://www.rochesterreads.org/ as events are finalized. Dr. Amit Sood will be presenting at the 11th annual Wit, Wisdom and Wine fundraising event on Saturday, January 14, 2012. Stress is perceived when there is an imbalance between the demands placed on us and our ability to meet those demands while maintaining well-being. On-going stress has a negative effect on our health, happiness, relationships, and quality of life. Excessive stress also sometimes affects our attention, memory, judgment, and decision making. In this workshop you will understand how our brain and mind generate undesirable stress every day, even during routine daily activities. Based on this understanding you will learn a two step program that will empower you to better handle your stressors, and as a result enhance your physical, emotional, mental, and spiritual well-being. The program will be taught by Dr. Amit Sood, Director of Research and Practice at the Mayo Clinic Complementary and Integrative Medicine Program. Dr. Sood teaches this program to patients, fellow physicians, and other staff members at Mayo Clinic. He has held several national workshops to teach this program and is conducting multiple research studies at Mayo Clinic incorporating stress management. Dr. Sood is the author of a recently published book, Train Your Brain Engage Your Heart Transform Your Life. Give the gift that keeps on giving – all through the year that will delight the readers in your family and circle of friends. 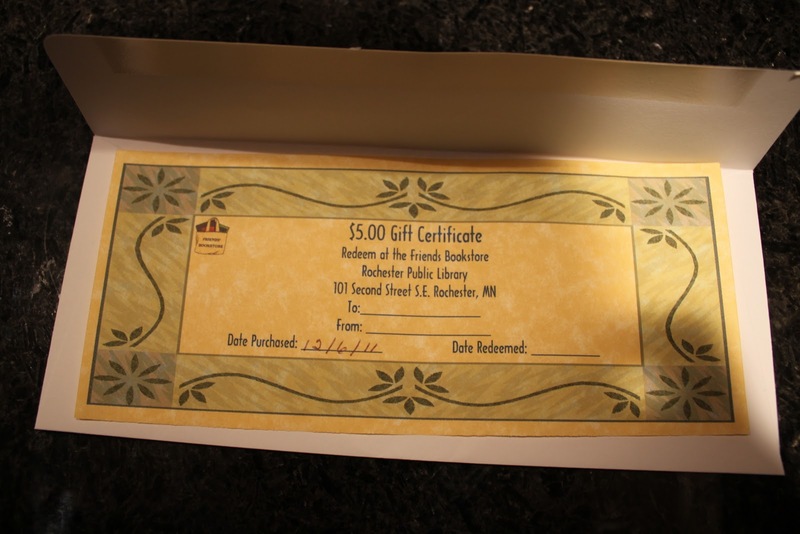 Gift Certificates to the Friends Bookstore come in any denomination from $5 up. And while you are at it, give them a Friends membership which gives them an additional 20% discount! Win win! With 13 days remaining until Christmas, I’m getting a littlestressed out. I’ve done all of myshopping with one exception: Istill have to buy for the readers on my list. And I can’t just buy any book and hope it’s good. Nope…not me. I can’t give a book unless I both know it’s a good book, ANDknow that the intended reader will identify with it in some way. So I’ve been doing a lot of reading! One of the recipients on my list is a 14-year-old girl whois a voracious reader. It’s been awhile since I’ve read any YA novels, so I honestly didn’t know where tostart. And then someone suggestedJames Patterson’s Maximum Ride series. I was familiar with Patterson and I’d read several of his novels, but –though I was aware the series existed – I wasn’t aware that the target audiencewas young adult readers. 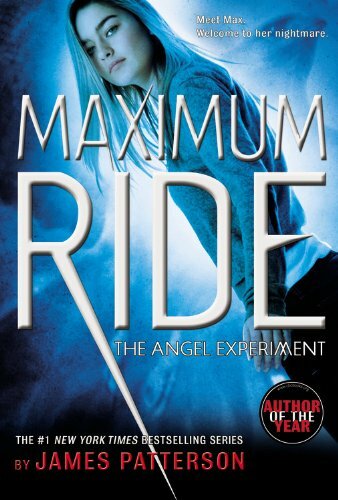 With my 14-year old friend in mind, I picked up Maximum Ride: The Angel Experiment. Had a I realized in advance that this series was stronglybased in science fiction, I can assure you I would never have even consideredreading it, even as an advance screening for a gift. After all, I’ve often proclaimed that I’ll read anythingexcept science fiction. It’s justnot a genre I enjoy…or so I thought. It would seem that I should rethink my aversion to science fiction,because I thoroughly enjoyed this book and look forward to reading theremainder of the series. Maximum Ride is a 14-year-old girl who isn’t your normalteenager. She and her friends havebeen experimentally mutated by “The School” and have an avian bone structureand wings like a bird. At firstglance, they look like any other group of kids…except for the 13-foot wingspanthey keep carefully concealed under a windbreaker to avoid notice. Four years before the opening of this book, Max and her friendswere secretly liberated from “The School” and have been hiding from the Erasers– creatures genetically mutated into wolf-like half-humans, created for the purposeof hunting them down and either killing them or returning them to “The School.” Max and her friends have been locatedby the Erasers, and now they’re onthe run for their lives. Whetherthey escape unscathed is something you’ll have to discover for yourself byreading the book. As an adult, I must admit I was surprised at how much Ienjoyed this book. While thetarget audience is young adults (probably grade 5 and above) I found that thetwists and turns made it completely enjoyable for adults to read as well. The short chapters would be especiallyattractive for young readers or busy adults, as they allow the reader to pickthe book up for a quick read and then put it down without investing a full halfhour on a chapter. Maximum Ride was a truly outstanding read and willdefinitely be in the “to open” pile for my young friend on Christmas morning. I may even consider it for one or moreof my adult reading friends. For more information about the Maximum Ride series of books,visit the author’s website dedicated to this series byfollowing this link. on Monday January 30, 2012, at 11:30 a.m. Following a delicious lunch a short business meeting will be held to elect new officers and board members. We will celebrate a successful 2011, review our achievements and give a preview and dates for 2012 activities. Dr. Gerald Anderson, historian and mystery author, will then talk about the evolution of the mystery story genre. His talk is titled – The Mystery Story, Then and Now (and Why We All Love A Good Murder). In order to plan for food please RSVP by January 24 to Elizabeth Ritman 282-9708, Gail Harris or Marilyn Campbell 328-2341. We are delighted that Dr. Gerald Anderson will be our guest speaker for the Annual Meeting on Monday January 30th, 2012. Dr. Anderson received his BA at Concordia College Moorhead, Minnesota with majors in History and Political Science, MA from North Dakota State University, Fargo and his Ph.D. from the University of Iowa, Iowa City. He recently retired after 22 years as Associate Professor of History from the North Dakota State University in Fargo, ND. He has had other extensive teaching experience at Waldorf College, Forest City, Iowa; Drake University, Des Moines, Iowa; Iowa Wesleyan College, Mount Pleasant, Iowa; Austin Community College, Austin, Minnesota and more. He has received numerous National and International Funded Grants, and Academic Teaching Honors. He is listed in the Who’s Who in America— Midwest Edition from 1978 to the present. Dr. Anderson has had many articles published, but most pertinent for the purposes of his talk are his published mystery novels that are set in Minnesota. The latest one published in 2011 by North Star Press is entitled Murder in Bemidji or Paul’s Bloody Trousers. The title of his talk is The Mystery Story, Then and Now (and Why We All Love a Good Murder). He intends to speak in a general way about the evolution of the mystery story genre from Edgar Allan Poe to Wilkie Collins and Dostoyevsky. Dr. Anderson will mention the golden age of mysteries such as Agatha Christie and Dorothy Sayers and then some general comments about today’s mystery writers and finish with comment on his books and how he writes them.